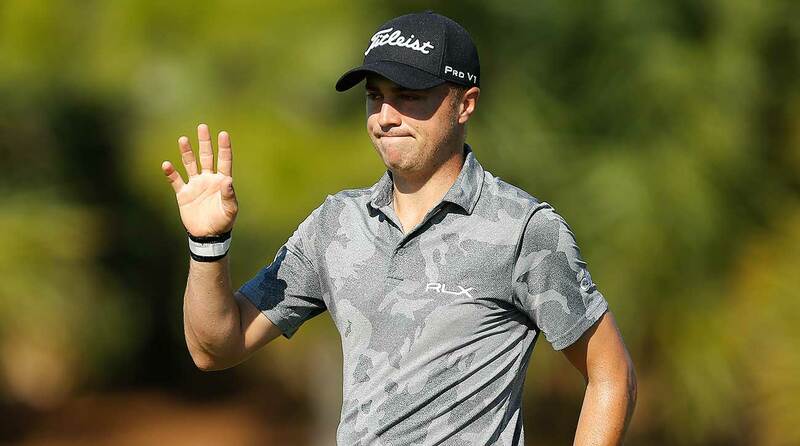 Justin Thomas said it was "a little shocking" that the USGA responded to one of his criticisms via Twitter on Saturday, adding that it was upsetting to him because the USGA wasn't factually correct. “Justin, we need to talk,” the tweet from USGA PR read, responding to Thomas's comment that the USGA needs to communicate with players. “You’ve cancelled every meeting we’ve planned with you, but we are reaching out again. We were at the first 5 events, and tournaments last year, and your tour has had a seat at the table for 7 years. We’d love nothing more than to give you a seat. Call us.” After shooting a one-over 71 in the final round of The Honda Classic on Sunday, Thomas was asked about the USGA's response. "It was a little shocking," he said. "You know, I've had communication with the USGA, and I've talked with a couple of people about how I feel about having conversations with them, about what myself and the players think. It was a little upsetting just because it was inaccurate. I haven't canceled anything, especially any meetings, but it is what it is, and all I want is the best for the game of golf and the best for the sport, and that's what we're going to continue to try to communicate with each other to get that." The USGA followed up its initial tweet by saying, "Justin, thanks for connecting with us offline. We look forward to meeting with you and talking through these issues. It's clear we both want to do what's right by the game." But asked if a meeting had been scheduled, Thomas said, "Not that I know of." "That's the hard part," he continued. "We've tried to get on a couple calls, and I was in the middle of this three-week stretch, so I was like, 'Look, I'm sorry, this time isn't very good.' But we're definitely going to talk at some point, but we've had conversations this year multiple times with a couple different people. It's not like it hasn't happened. It's just — it hasn't the last three weeks because I've been at a tournament, and that's my main focus." https://twitter.com/USGA_PR/status/1101978749199925248 Thomas has been one of the PGA Tour's most vocal critics against some of the revised Rules of Golf. On Saturday he sarcastically commented "#growthegame" to a PGA Tour Communications tweet about a retroactive penalty given to Adam Schenk for caddie-alignment, which has been among the most scrutinized new rules. Thomas then responded to another tweet telling him to play by the rules, which led to him bringing up the communication issue and eventually the USGA's responses. "It is unfortunate," Thomas added on Sunday. "It just was — it really hurt me. It was upsetting to me because they were putting — the information they put out there was inaccurate in terms of me canceling meetings, and that doesn't make me look good, and that's just when I got a little upset, and then we had talked some communication with them because I know those guys — I've talked to them, and I've talked to them about the rules this year. We've all tried to communicate and tried to get better relationships with them. It is what it is, and all we're looking is to better the sport and better the game." Justin Thomas said it was "upsetting" to hear the USGA's response on Saturday.